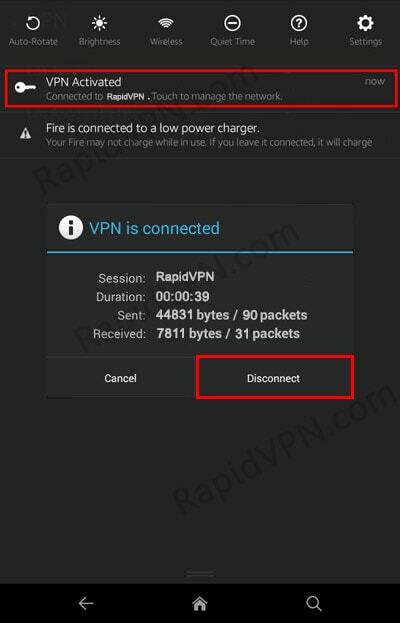 How to setup PPTP VPN connection on Kindle Fire? 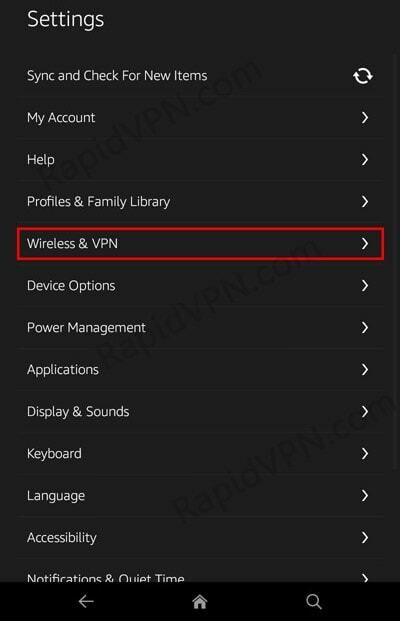 1Go to the "Settings > Wireless & VPN". 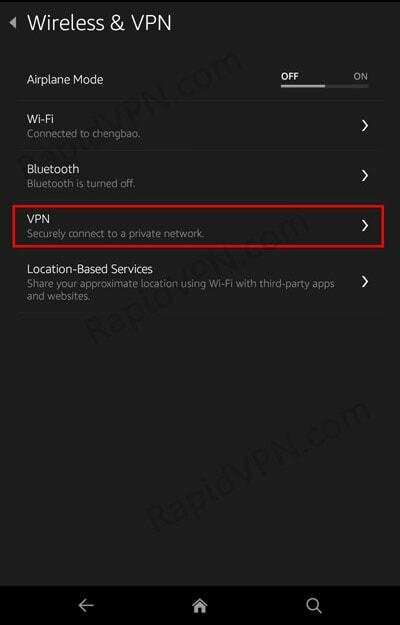 3In next screen click on "+" sign. 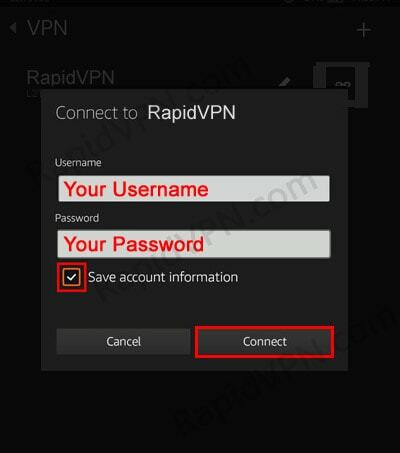 Check "Save account information" and click "Connect". 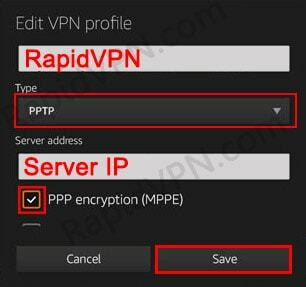 6To disconnect, click on "VPN Activated" and in new opened screen click "Disconnect".